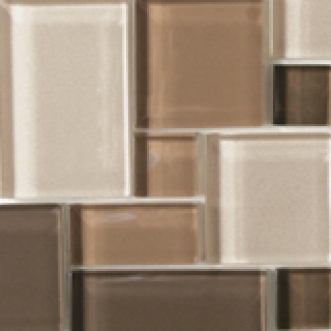 A wide-colour palette, clear film face-mounted mosaic in either glossy or matte finish. Available also in 2x12, 3x6 size and 4x16 size unmounted tiles. Cristallo Blends feature mixed colours in both glossy and matte finishes all on the same sheet. Mosaic tiles are suitable for wet area applications.